It can be hard to achieve glowing, radiant skin when we face an abundant of skin conditions such as acne, oily skin, dryness and so many more. That is why we adopt meticulous skincare routines, research on the most important skincare ingredients and splurge on the most expensive skincare products, all to ensure we can wake up with flawless and clear skin the next morning. 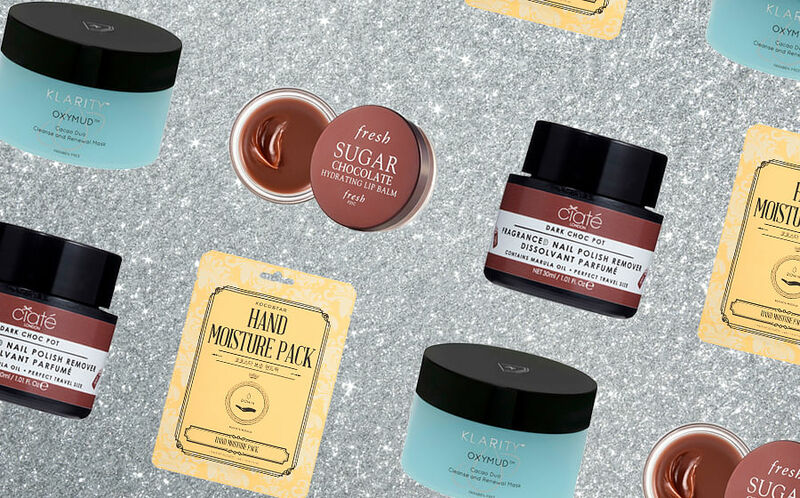 But if none of that is working out for you, then it's time to take a look back at your beauty routine to see if there are any simple tweaks you can make for better skin. Not to worry though, we've got you covered with these easy skincare tips and tricks to boost your complexion and help you achieve beautiful skin. Although your skin type veers towards the oily spectrum, you would still like your skincare products to have brightening, anti-ageing and hydrating functions (because, why only choose one?). However, most beauty brands categorise different purposes into different skincare ranges, making consumers feel compelled to choose one specific type. 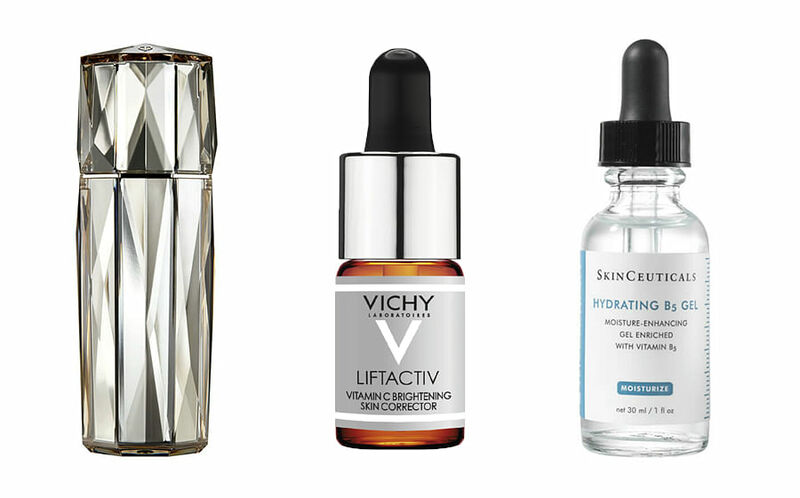 Well, the good news is—you can have it all by layering your serums. I’m currently using three different types of serums in my daily morning routine. Before my toner and after cleansing, I pat in Cle de Peau Beaute Le Serum. Next, I apply a treatment essence, before applying Vichy’s Liftactiv Vitamin C Freshshot and sealing it all in with a layer of SkinCeuticals Hydrating B5 Gel. 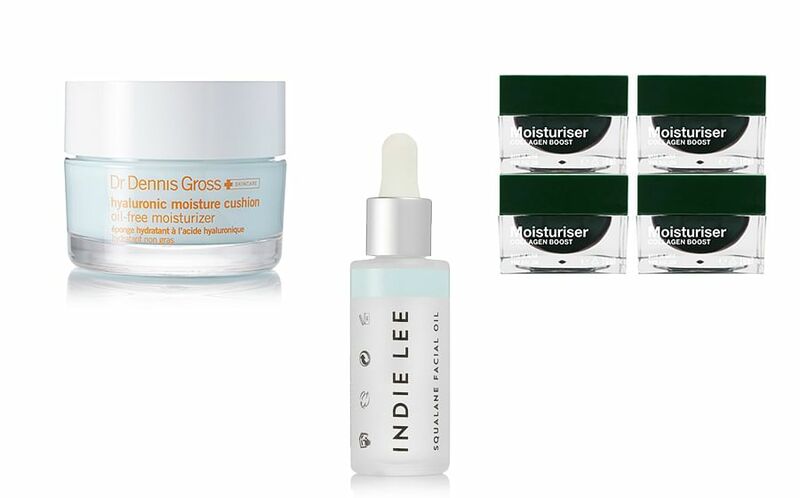 Does it matter which serum goes first? Yes. The rule of thumb is to start with the one with the lightest texture and that’s why creams and oils always go on last. Generally, vitamin C serums are lighter than those with hyaluronic acids, hence those with vitamin C always go on first. A cooler temperature around the the eye area is always a good idea as it helps to deflate puffy eyes by constricting blood vessels in the area. So storing eye creams and masks before you use them helps optimise their efficacy for best results. Besides, storing your skincare products at a colder temperature also helps to retain their freshness—all the more reasons to do so! 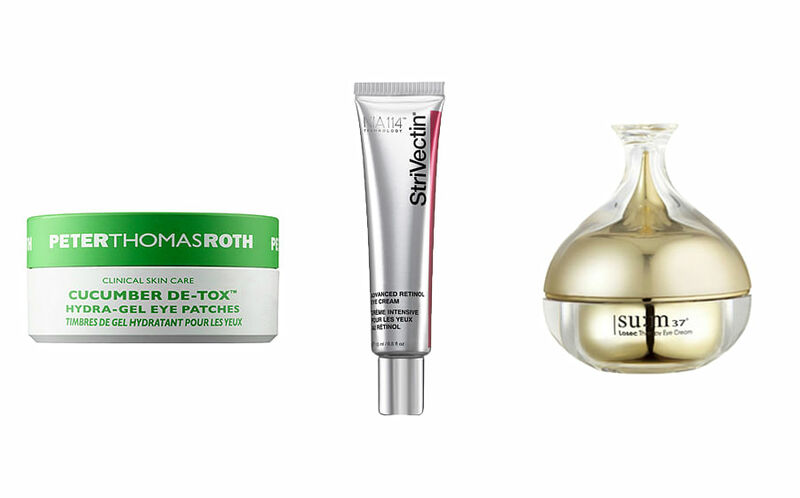 We like Peter Thomas Roth Cucumber De-Tox Hydra-gel Eye Patches, $93, Sephora, which contains calming and hydrating ingredients like aloe, chamomile, hyaluronic acid, glycerin and collagen to depuff and energise eye contours. If you’re concerned with a loss of elasticity, try Su:m37 Losec Therapy Eye Cream, $270, which speeds up skin regeneration and supports collagen synthesis for firmer skin. Or try StriVectin Advanced Retinol Eye Cream, $117, to combat crow’s feet. It is formulated with peptides, retinol and the brand’s proprietary NIA-114™ for smoother, plumper eye contours. If there’s only one beauty product you should always have with you on the go is a lip balm. I carry a Fresh one with me and after I’m done applying it onto my lips with my finger, I’ll dab the leftover on my fingertips onto my cuticles and elbows. For those who prefer a buttery soft texture, try Fresh Sugar Coconut Hydrating Lip Balm, $29, a blend of botanical oils and vitamin E to keep lips soft and smooth. 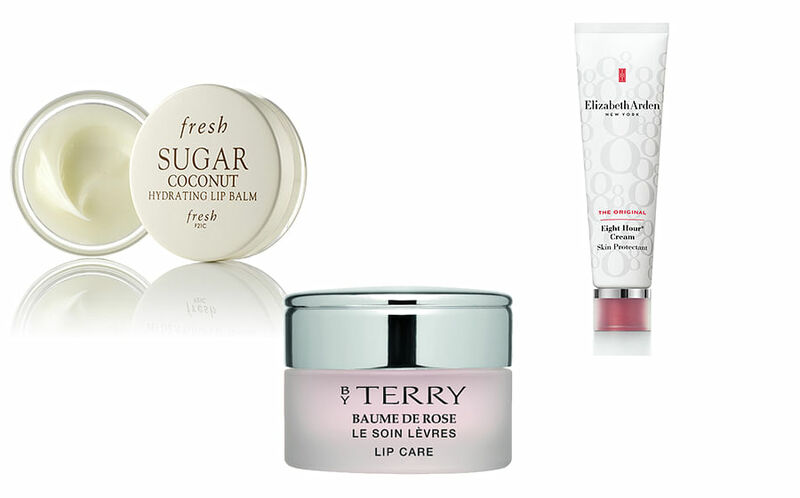 Or try By Terry Baume de Rose Lip Jar, $80, for a lavish way to hydrate, repair and nourish chapped lips. For a time-tested formula, trust in Elizabeth Arden The Original Eight Hour Cream, $41, to condition and protect skin. Plus, you can even use a touch of lip balm to fix frizzy hair — how versatile! You can have oily skin that’s dehydrated but it doesn’t mean it’s dry. Your skin type is oily but due to certain lifestyle circumstances (not drinking enough water, change of climates due to travelling, etc) that may explain why it ’s currently dehydrated. Symptoms are tightness and dull complexions even after moisturising. In this case, dehydrated skin lacks water so load up on the water consumption and hydrating serums and moisturisers containing hyaluronic acid and collagen. On the contrary, dry skin happens when the lipid barrier decreases, usually due to ageing and symptoms include flakiness and rough textures. Dr Dennis Gross Hyaluronic Moisture Cushion Oil-Free Moisturizer, about $78, contains time-released hyaluronic acid so your skin stays plump over a prolonged period of time. Plus, it has a refreshing gel texture which is non-greasy, making it ideal for those with combination or oily skin. Or if you prefer something more nourishing, try DrGL Moisturiser Collagen Boost, $268. It packs three types of hyaluronic acids in varying molecular weights to deliver, lock and seal in moisture in all layers of the skin for effective moisturisation. Alternatively, Indie Lee’s olive-derived Squalane Facial Oil, about $43, is rich in fatty acids to condition and boost skin repair for improved elasticity. Most women don’t realise the potency of face creams or serums not only lies within the skincare products you use but also via your application method. Placing the creams and serums on your palms and gently rubbing them first before pressing them into your face with pressure not only helps to generate heat between your palms and face for better absorption, it also improves blood circulation in your face. We like Clarins White Plus Brightening Emulsion SPF 20/PA+++, $103, for its non-greasy texture that absorbs quickly and doubles up as a makeup base. 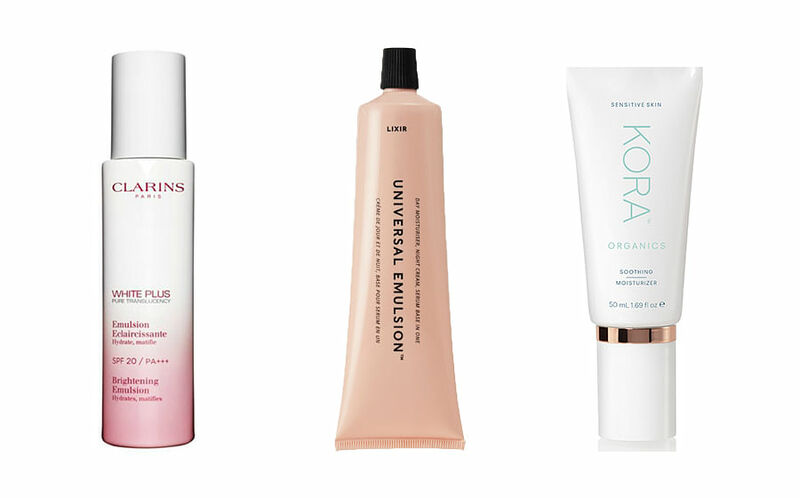 If you prefer a dewy finish, try Lixir Skin’s Universal Emulsion, about $77, which counters fatigue and pollution with its antioxidants-rich formula. Or try KORA Organics Soothing Moisturizer, $65, which calms, moisturises and protects sensitive skin with its blend of certified organic botanical oils and extracts. Do you have sensitive or sensitised skin?